In Maryland, there are four (4) levels of Courts which include District, Circuit, Court of Special Appeals and Court of Appeals. Most cases resolve by way of dismissals, pleas and/or trials in the District and Circuit Courts. If unsatisfied with how your case resolved in District Court, you have the right, in most situations, to appeal to the Circuit Court and have a second chance to get the matter dismissed, attempt to work out a better deal and/or plead again to obtain a better sentence or have another trial. But unlike the District Court where only Judges decide the case, you can have a Judge or a Jury of twelve (12) persons decide your case in the Circuit Court. Every violation of the law in Maryland begins in the District Court no matter if it is a speeding ticket or a murder charge. 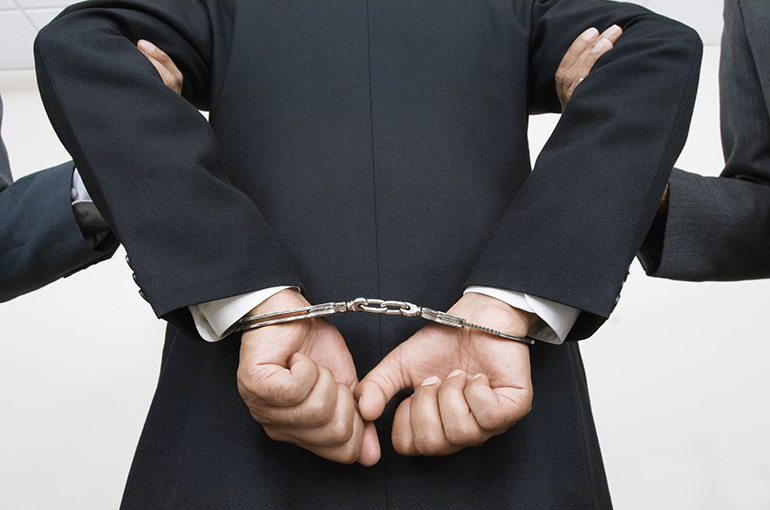 Criminal cases are generally divided into two (2) basic categories - Misdemeanors and Felonies. Basically Misdemeanors are minor crimes and Felonies are major crimes. There is also a category of Minor Traffic Citations (payable fines) and Serious Traffic Citations (payable fines/possibility of jail). There are Civil Citations which are not technically criminal but need to be taken seriously for they are handled by State prosecutors and/or other attorneys for the Government and can have future consequences in your life even if there is no risk of jail time. Lastly, there are Civil Protective and/or Domestic Violence matters which are not technically criminal but can have criminal consequences if violated and may be held in addition to any criminal charge for any kind of assault, harassment, stalking, etc. In all such cases, the Police or an affected civilian must file and have served upon the person who is being accused of wrongful conduct a charging document or complaint which serves as Notice to that person that they are now being accused of a criminal, traffic or other type of wrongful conduct with the opportunity to defend themselves. In a traffic or minor criminal case, the Citation is usually the charging document. In more significant criminal matters, a short report called a Statement of Charges which details some of the facts upon which the charge is believed to be true is served upon a person. Although all criminal matters are filed and start out in District Court, felonies charged with the exception of theft, must be transferred to the Circuit Court if the government intends to prosecute a person on the felony. There are a few different ways this can occur. Initially when a felony is at least one of the crimes charged, a Preliminary Hearing (PH) is scheduled by the Court as the first appearance for the person charged who is now designated as the Defendant. The PH is a legal proceeding only to determine if there is probable cause for the Government to prosecute the Defendant for a felony criminal charge. A Judge will hear evidence usually from a Police Officer and a Defendant's lawyer will have the right to question (cross examine) the Police Officer on the facts that might support this limited determination by the Court. Although difficult, if the Judge is not persuaded that there is probable cause for the felony charge, then it is usually dismissed though any misdemeanor criminal charges will still be scheduled for trial and will remain in the District Court. Another method for the Government to maintain a prosecution for a felony criminal charge and transfer it to the Circuit Court is through the Grand Jury Process. In the larger Counties in Maryland, citizens are requested to appear each week to participate in a Grand Jury. As with the PH, the only decision for the member of the Grand Jury to make is if there is Probable Cause to allow the Government to continue with prosecuting a Defendant for a Felony Criminal Charge. Because you, your witnesses and your attorney are not allowed to participate in the Grand Jury Process, there is only a very small chance the Grand Jury will not agree to allow the Government to proceed with the Felony Criminal Charge as the Grand Jury only hears the Governments side of the facts. When a Grand Jury makes this decision, it is called a Bill of Indictment. In most instances, the government will submit the criminal charges to the Grand Jury for consideration a few days before the PH. If successful, the case is removed from the District Court and transferred to the Circuit Court and the PH is cancelled. If retained early, a lawyer for a Defendant will usually try to delay the PH by a postponement or waiving it altogether in order to review all available reports and information and to discuss the matter with the prosecutor to attempt to get the matter dismissed or to avoid an Indictment on a felony charge in order to keep any remaining misdemeanor charges in the District Court. Each case is different and may be handled in different ways after the Client and their lawyer discuss different strategy options. It is very important to retain an experienced attorney as soon as you are charged with any criminal, traffic and/or Domestic Violence Offense in order to defend your interests and protect your rights. Stephen F. Allen and the law Office of Stephen F. Allen, P.C. has more than thirty (30) years of experience successfully representing persons accused of Misdemeanor, Felony and Domestic Violence crimes and/or accusations. For a free initial consultation contact us at (301)987-2002. There is nothing to lose and everything to gain. Do not wait as certain legal rights may be waived. Call us now.